My soap sample weight is 3.2 ozs. 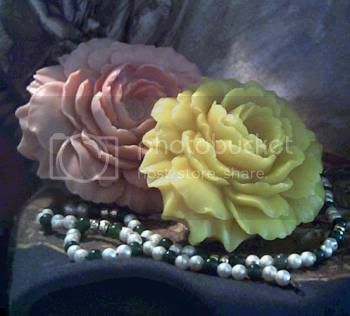 This mold turns out a lovely flower, seller is very prompt and courteous. I have bought several molds from Penguin Love and have never been disappointed - just thrilled beyond believe how beautiful the mold is - just can;t wait to use it.